Vaclav Obsivac (Vinco) is not only an exquisite craftsman but he is also a true gentleman! How do I know this? Well, when there was an error during my recent purchase which led to me owing him ever so slightly more than expected (which was not an issue at all) he spontaneously decided to give me an extra puzzle for free!! This was the Handed halfcubes and despite being free it is a really good puzzle too! 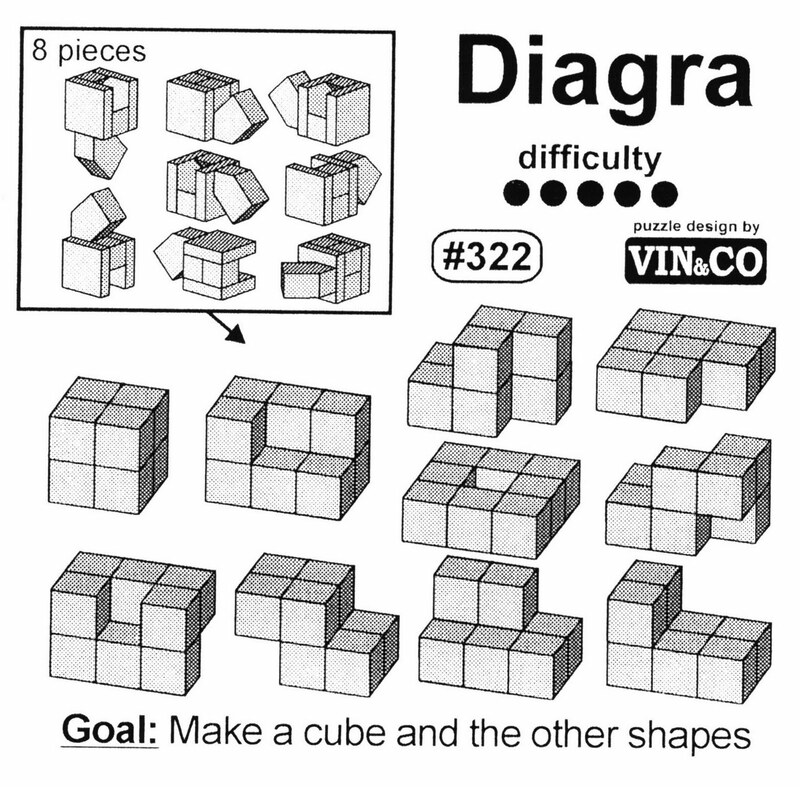 As part of my recent purchase I bought the Diagra puzzle and received the other one for free. They are both beautiful puzzles made from various different colours of wood and lightly waxed rather than polished. These are different from the other Vinco puzzles - they are not coordinate movement puzzles, they are effectively 3D jigsaw puzzles, except that any piece can slot together with any other. This actually looks quite easy but... Oh my goodness!!! It is unbelievably difficult! 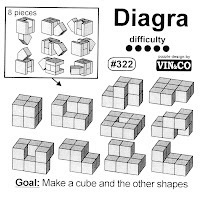 I first tried to make the cube with the Diagra pieces. This took me the best part of an hour! Just to make a cube for heaven's sake! I took it apart and tried it again. Despite thinking I had learned the order of the pieces I couldn't manage it a second time in a reasonable period of time! After 90 minutes I ended up using the solution to put it back together so it could be put back on display. I have done it since but each time it takes a very long time and doesn't seem to get easier. This is definitely the sign of a good challenging puzzle! I have also tried to make the other shapes and have so far completely failed (even the "easy" ones are hard!) In fact I took this to work to show some colleagues and actually couldn't work out how to fit all the pieces into the box it came in! I really cannot be that thick! It is really really tough! My freebie looked quite similar. The Handed halfcube is a group of 8 pieces which also slot together. Sounds like the previous puzzle? Well, yes it does BUT the pieces fit together in a very different way to Diagra. The pieces slot together in a number different directions and not all pieces can slot into each other (making it significantly more challenging). The shapes to be made are more or less identical to Diagra but there are no coordinate motion puzzles for this one. I have spent more than 3 hours just trying to make the cube and have singularly failed!! I used the solution page to reassemble it for storage and the following day tried to redo it after taking careful note of piece positions. I still couldn't do it!!!! These puzzles look so easy and yet I cannot believe how difficult they actually are. If there is a systematic way to analyse the pieces to work out the solution then I have yet to discover it. 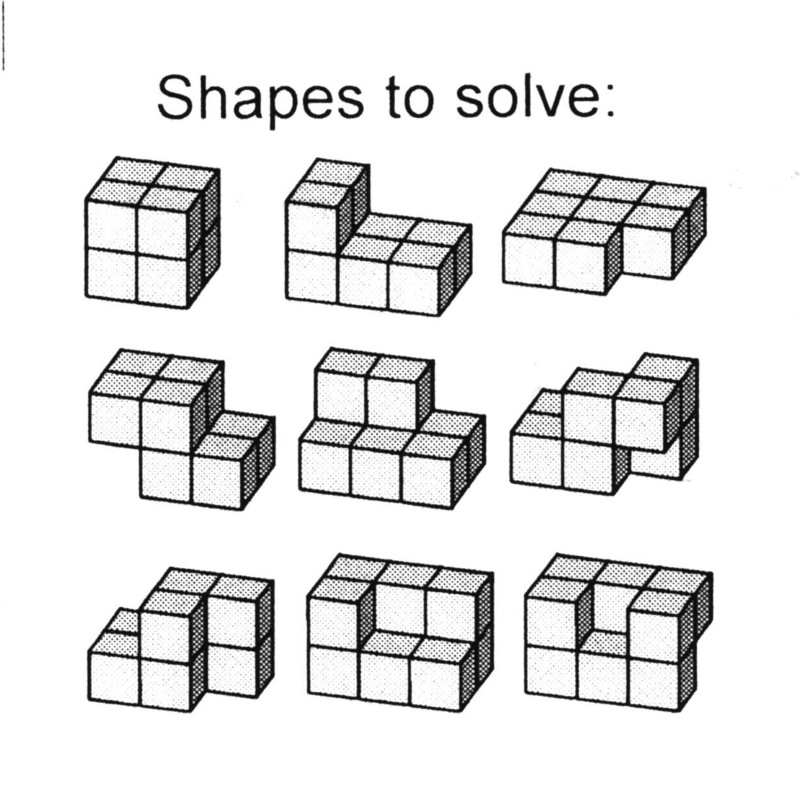 These puzzles are just brilliant! They don't have the same polished finish as the coordinate motion puzzles but still look great in various different woods. Despite such a simple premise they have me completely flummoxed. 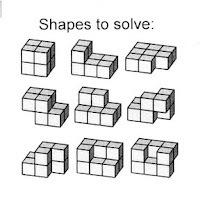 Vinco has several different types of construction puzzles on his site (as well as these 2 he also has the Hooked halfcubes and the Twisted halfcubes). Because they fit together in different ways you can safely buy more than one and not feel that it will make the other less challenging. I suspect these are the hardest puzzles he makes. At only €12-14 each they are fantastic value for money! My advice? Buy at least 2 sets!!! Great review. Think I may have to contact Vinco for a set myself now. I really wasn't sure about how challenging these would be, but looks like you really can't go wrong, especially given the price. For the quality of puzzles he makes, the only reason I can see that they're not more expensive is that the woods used are not rare hardwoods. If you want another toughie, try his Cube A/C. Thank you Michael. Since this review I have bought another 4 of Vinco's half cube puzzles but not the AC. When I'm next making a purchase from him I will definitely try and add it to my collection.